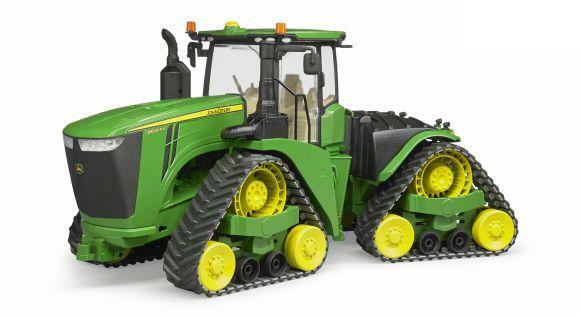 This specialist tractor has been a popular model among agricultural machinery: the Claas Xerion and high-performance Amazone Cayenna 6001 seeder complete the 1:87 miniature agricultural tractors. Just like the original version, drill units can be lowered on the left and right to work the fields. The filling flap on the seeder is also designed to open. With rubber tracks, the tyres create an authentic everyday look. The Amazone Cayenna 6001 and Claas system tractors are striking thanks to typical brand colours and appealing eye-catching design.